Vighna is delays, lack of progress and impediments in various aspects of life. As per Hinduism, this is the direct result of Adharmic (evil actions) performed in this life and of those performed in previous. This particular Vighna Nashak Mantra of Goddess Durga helps in mitigating the effects of bad actions. Take bath in the morning and sit facing east. 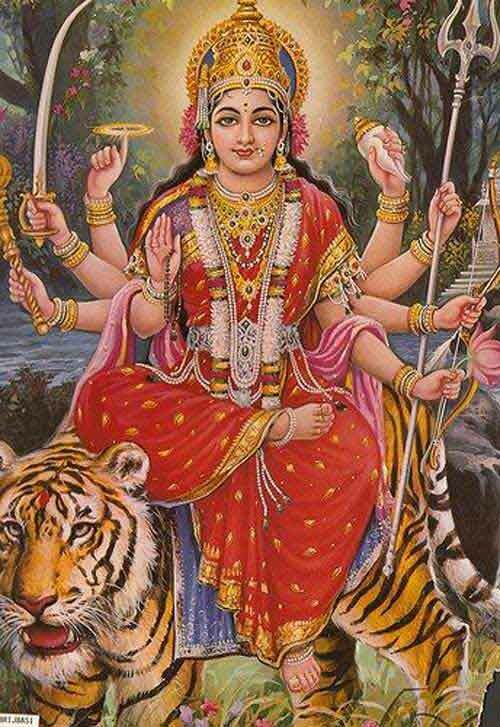 Now, make an image of Goddess Durga or any forms of Mother Goddess Shakti in mind. All offerings and prayers should be dedicated to this mental image. Light lamp using mustard oil with one wick. Now chant the mantra 108 times. Keep count on a lal chandan mala (red sandalwood rosary). Begin on a Tuesday with complete puja. Continue chanting the mantra for 46 days without any break. There is no need to perform puja on all days. Just chanting the mantra is enough.